Pizza L'Vino is making a excellent New York-style steel oven pie. (There is also a Chicago deep-dish and a crispy Ultra Thin.) The operation is geared for pick-up and delivery orders. There aren't any tables. 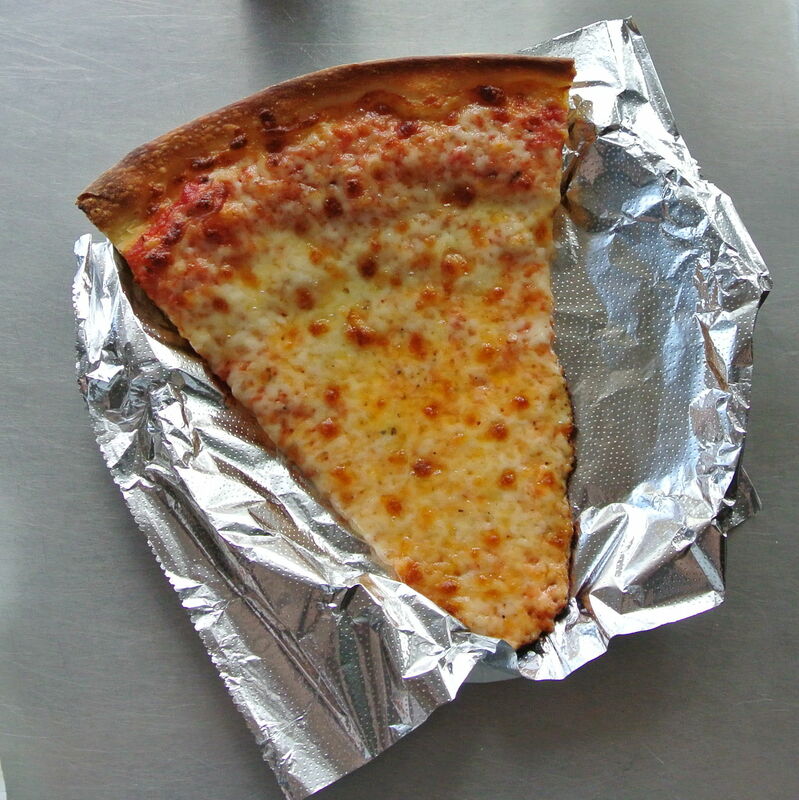 But in typical New York pizzeria fashion, there is a stainless steel counter along the front window where you can eat a slice. A single cheese slice is $3, a slice of sausage pizza is $3.50. There are cold sodas and beers in a refrigerator case. But sadly, the classic New York cheese slice accompaniment—orange soda—is not currently available.